Enjoyed a quiet morning and breakfast on the porch. The pancakes are actually wheat free – made with almond flour. We are experimenting with a wheat or almost wheat free diet. It’s not that difficult. I haven’t missed beer or pizza….yet. It has forced us to look at other options we may not have thought of before. 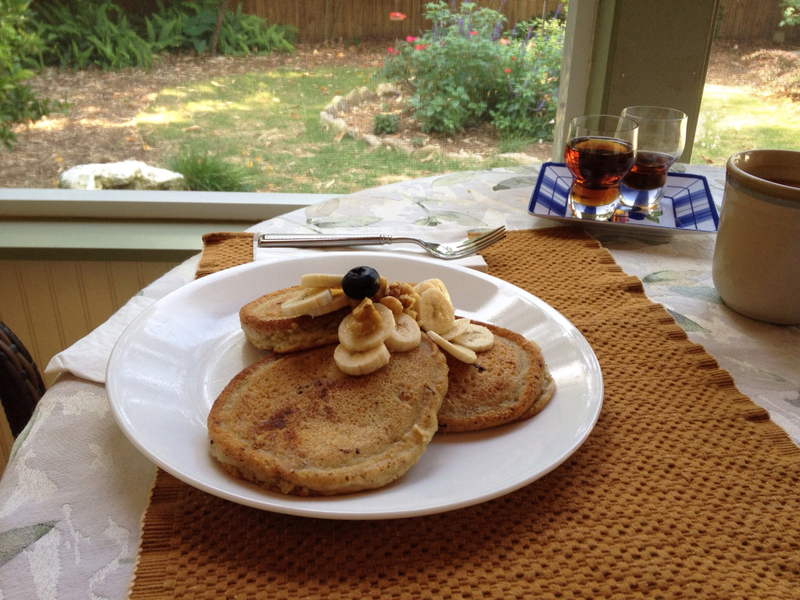 The pancakes were a delicious reward after a two mile walk-run this morning. Have been out of it for a couple of weeks and now trying to get back into some regular jogs. 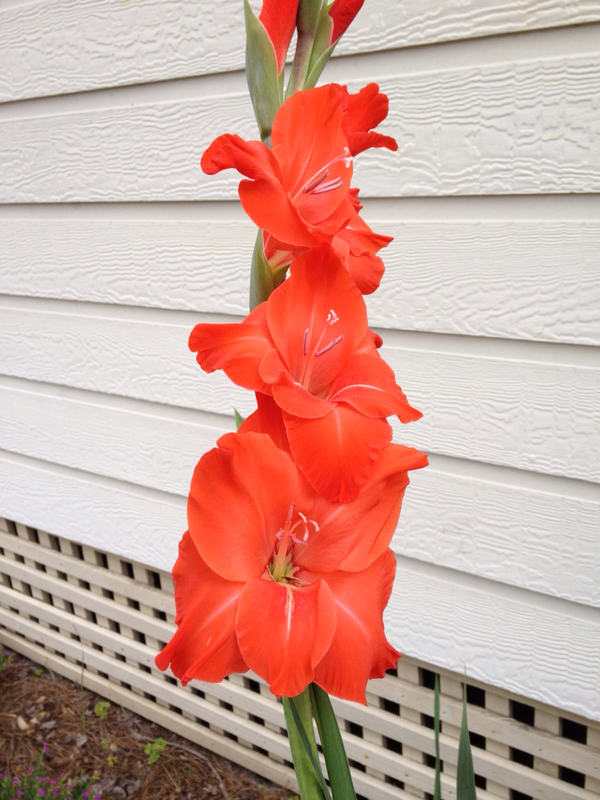 Encountered a beautiful gladiolus in our driveway this morning. In just a few short days it’s bloomed into this masterpiece. What a lovely site! It’s time for Boxer’s evening fluids. Till next time….ciao.